For me who am passionate about the outdoors activities, I can have a great time here. There are so many activities that I like to do in the area, the choice is really difficult. As this will be the last time this year, I will choose activities that are all very close to the cottage we rented in Petite-Rivière-Saint-François: downhill skiing, cross-country skiing, snowshoeing and sledging, is at the Massif that I'm going to do because I want to enjoy it to the fullest! Being allowed to bring my faithful companion Chester with me is also a benefit of staying in the area. Chester can accompany me on cross-country skiing and snowshoe trails where he enjoys running in the snow. As the Massif is nearby, I can also let it rest while I go downhill skiing or tobogganing. 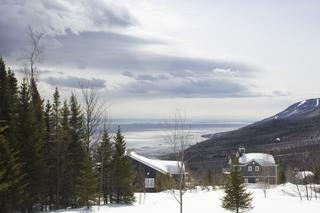 Le Massif is a mountain in nature which offers a spectacular panorama between river and mountain and crazy snow in abundance. I love to go downhill skiing down the high and long slopes that take me straight to the river. Wha t sensations and what a landscape! Absolutely magical! I also love going on a toboggan run! This course is for me a pure pleasure and the landscapes are breathtaking! It is really a recreation that I offer during my day of downhill skiing. At the top of the Massif, I can also access the Charlevoix Caps Trail. It is a beautiful forest course to discover the cross-country ski trails and snowshoeing The many cross-country ski trails are characterized by their extraordinary snow and exceptional snow quality. We live there an experience of serenity in full nature with the boreal forest which is covered with an immaculate white! In addition, some of these trails lead us to views of the river that give us the impression of dominating the horizon. What is really great is that we do not have to carry all our equipment for the different sports we want to practice. 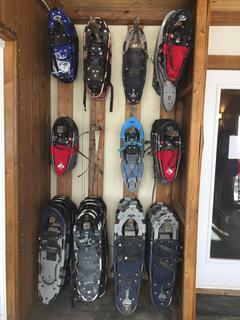 We are actually offered on site the possibility of renting the complete equipment for cross-country skiing and snowshoeing. We can thus indulge in the inspiration of the moment to choose an activity, without any constraint. And finally, the 5th activity of my Top 5 at the end of winter, it's my cute sin: the sugar shack! What a pleasure to taste maple products that local artisans know how to prepare in countless recipes. If we are short of time, as is often my case, we can buy products at the merchants of Baie-Saint-Paul who are happy to make us taste their creations! 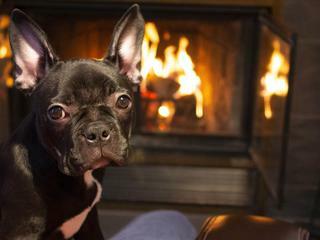 Living in Ottawa, Heather loves the city, but is always happy to relax and retreat in nature. She loves outdoor activities and beautiful landscapes. Her favorite place to be for a small, yet perfect, vacation? Charlevoix!